Allegedly On The Issues is a Podcast that will discuss mostly political news and events. We aim to do so in a manner that brings both comedy and serious analysis to the table. The hosts of Allegedly On The Issues come from different sides of the aisle. There's Jared coming from the conservative side, and Doug with a more liberal slant. AOTI strives to be, well, a more entertaining version of that old CNN show Crossfire. 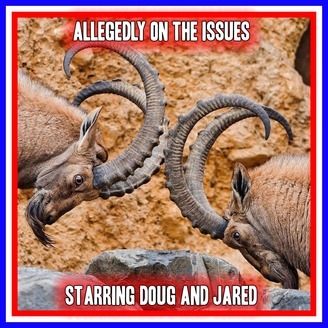 Our final Election Podcast as Jared re-joins Doug for another postmortem on the 2016 Presidential Election. As well as a look at Trump's first Twitter-War as President-Elect and some initial thoughts on the type of people Trump is going to surround himself with as President. 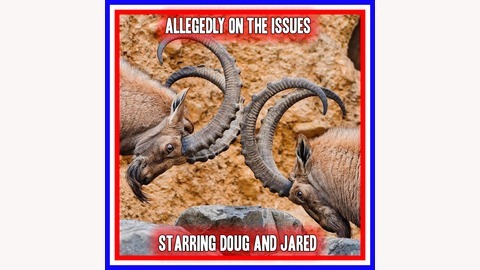 Allegedly On The Issues Political Podcast 29 - Final Debate Preview and More!